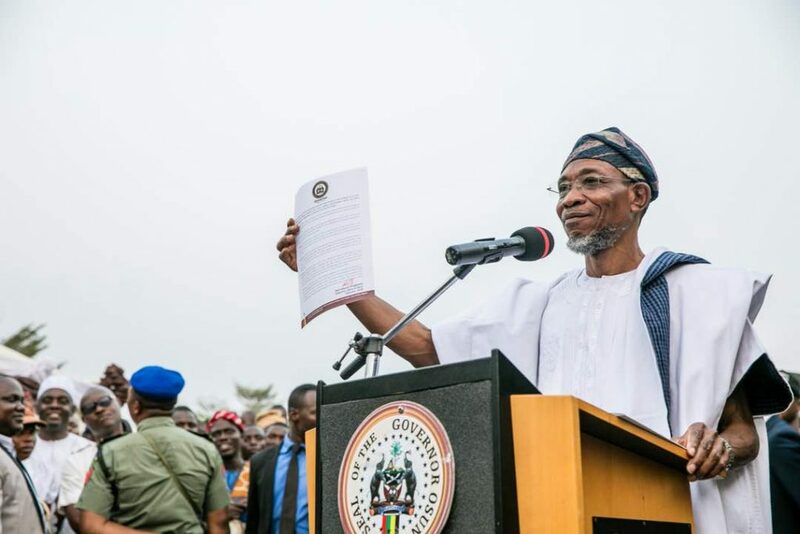 Tuesday, the 6th of February, 2017 will go down in the history of the State of Osun, when the first set of parliamentarians at the local government level, the first in the history of Nigeria’s 19 years of democratic dispensation were inaugurated by Governor Rauf Aregbesola. 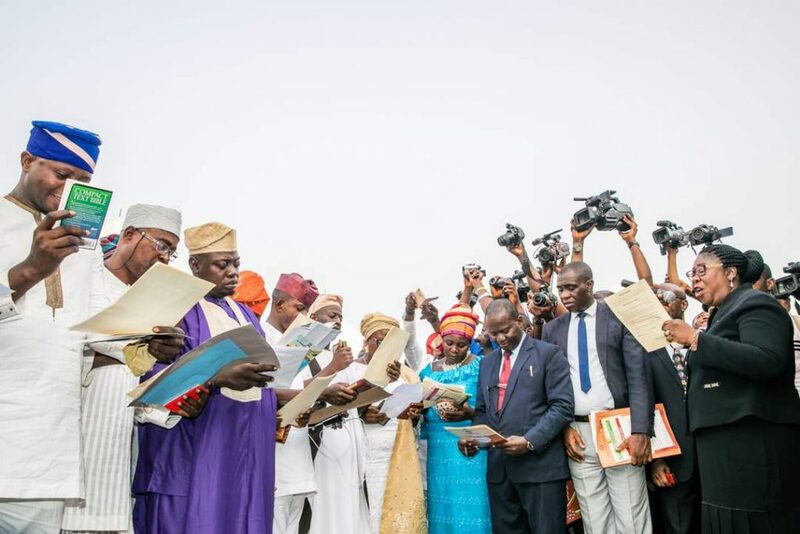 Although, controversial to many of how a government will run at the grassroots with only councillors and not the customary local government “Chairman” that is from the culture of the Presidential system of government practiced in Nigeria since 1999, the system has fully taken off in Osun without any aberration to the constitution of the Federal Republic (as amended). Section 7 explains it all why the present government in Osun decided to take this into consideration before setting the agenda for the take-off of the parliamentary system of government at the local level of governance. “You will recall that in 2012, the Senate of the Federal Republic of Nigeria asked for memoranda on the review of the 1999 Constitution. A 15-man committee was set up in Osun under the chairmanship of Barrister Gbadegesin Adedeji to aggregate the opinion and views from the state. The committee held public sittings for three weeks during which members of the public, institutions, non-governmental organisations and others made their various submissions. 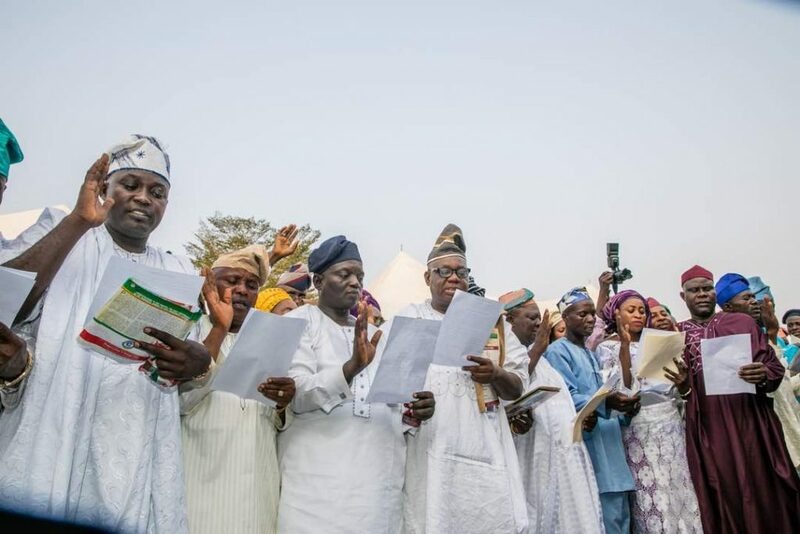 Going by these words by Rauf Aregbesola, the councillors that emerged after a keenly contested election on January 27, 2018, following many years of delayed tactics employed by those who are afraid of their inevitable defeat and rejection at the polls in the grassroots have the constitutional mandate to serve their people passionately without due hindrance from the law. The Governor had strong words for the 389 councillors and their responsibility in government. He harped on three things, environmental sanitation, market stability and revenue generation. As if he knew what was on my mind, we all know the problems associated with these three areas especially at the grassroots. There is no doubting the fact that Osun is the most urbanized state in Nigeria, from Osogbo to Ile-Ife, Ikirun, Ilesa, Iwo, Ede, Ejigbo, Ila, Ikire. And with the drive of the O-Clean initiative of the present administration, one needs to point out the fact that most areas in Osun are not living up to expectation in terms of environmental sanitation. The councillors should see themselves as agents of change to make for a cleaner environment, cleaner markets and sane atmosphere. They must also make sure that markets are viable to ensure that the internally generated revenue of their respective councils. IGR is necessary at this stage of governance when the state finances are at a low ebb. Revenue Generation of councils must rise at this point in time. Councillors and their chairpersons must see governance as a duty and call to serve their people. Aside revenue, they must be agents of change at their level. They should always strive to provide succour and relief to their people’s feelings, yearnings and aspirations. The state of things at the local government level has not been rosy since the last elections in 2007. Many have not been able to direct their concerns to elected representatives since there have not been elections. The council managers and executive secretaries have tried their best but people still want those they elect to be in power. Now that the 389 councillors of Local Governments, Local Council Development Areas, Area Councils and Administrative Offices are in office, they must see governance as their responsibility, cater for the needs of their people and most importantly, have listening ears to the yearnings of their people. They should see this as a call to serve just as three years is by the corner!